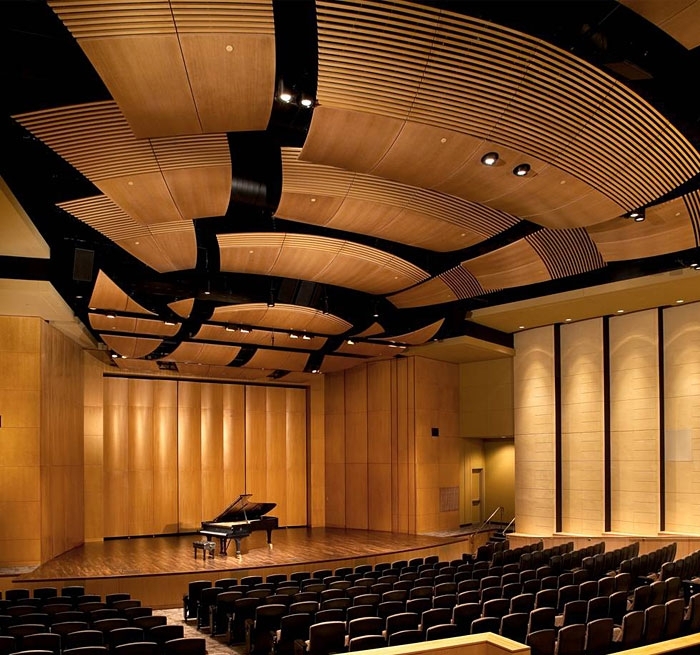 The Irwin M. Jacobs Qualcomm Hall is an assembly space designed for corporate lectures, viewing of electronic media and live music performances. 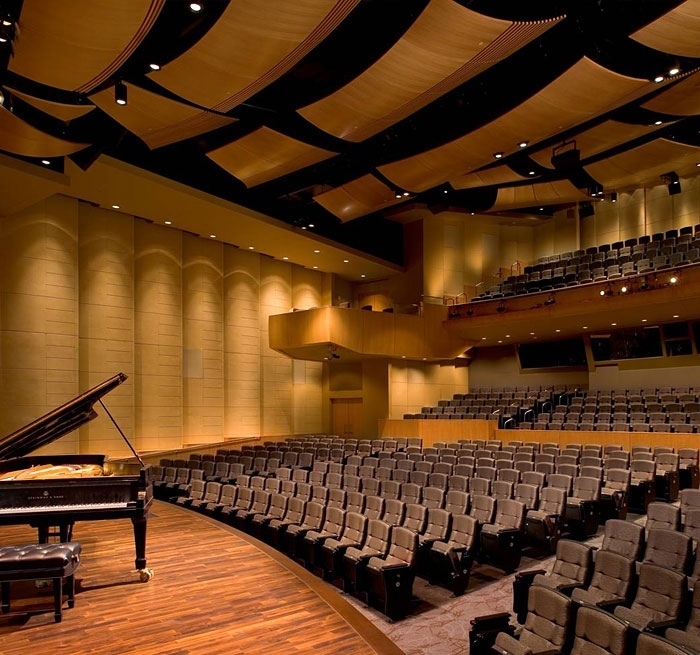 Irwin Jacobs wanted to continue his support of the arts in the San Diego area, especially live musical performances with an emphasis on classical and acoustic ensembles with this venue. Auerbach Pollock Friedlander provided theatre and audio-video services for the Hall. Sized for chamber orchestras of up to 38 musicians and an audience of 500, the Hall contains a motorized variable acoustics system consisting of operable draperies and flown adjustable overhead canopies in conjunction with carefully shaped fixed wall and ceiling surfaces and portable shell towers; this allows the acoustic characteristics to be adjusted for orchestral music, spoken word and electronically amplified audio. Qualcomm required sophisticated technical operations and facile control of the audio-video systems to meet a high standard for presentations at corporate meetings and events. The firm’s forward thinking design of systems and infrastructure in 2007 facilitated an efficient and economical upgrade seven years later. 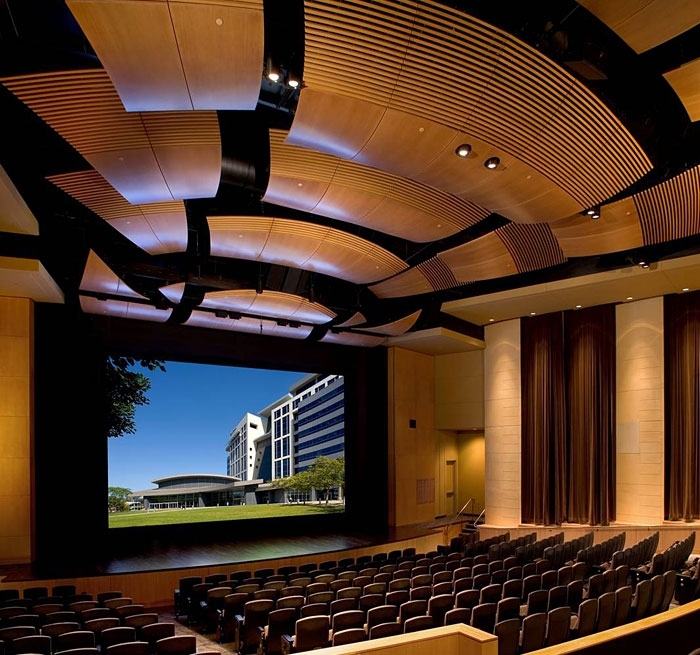 In early 2014, Qualcomm engaged Auerbach Pollock Friedlander to upgrade the audio-video system bringing the Irwin M. Jacobs Qualcomm Hall current to the state of technology.